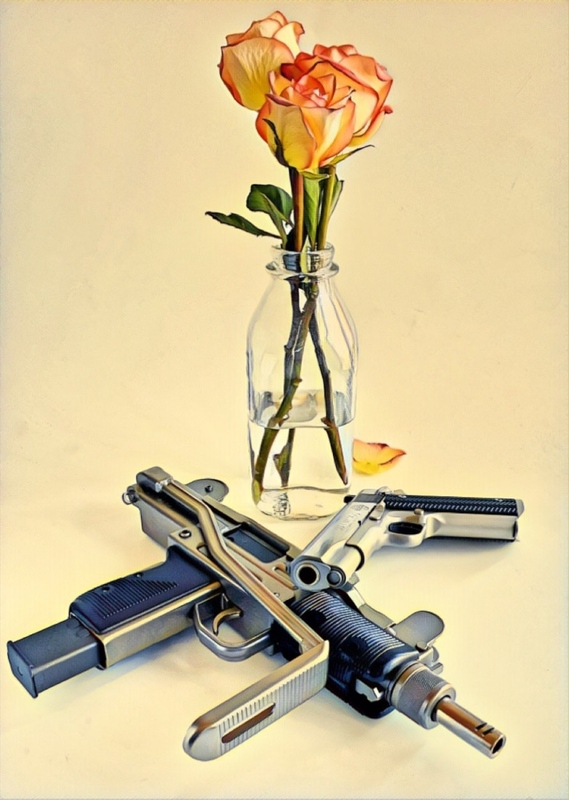 SIGforum.com Main Page The Gallery Z06's February’s contest: Valentine’s Day: Hearts & Guns, Candy & Guns, Love & Guns, etc. Make it fun, make it serious, be creative. Good luck. Jan 31 to Feb 24. Will, I've always liked your "Wilson/Rose" photo and it sure fits the theme. DS, who started this contest, originally stated that photos were to be new for the "Old School Cool" theme. He has not stated if that applies on this contest theme. I'm fine with your entry, but then again DS would have the final word. As i meant it other than the dates roughly month long 21 days plus 5-7 days voting. The specifics were up to the previous winner. So if you see no issue, then it is part of your rules for this month. 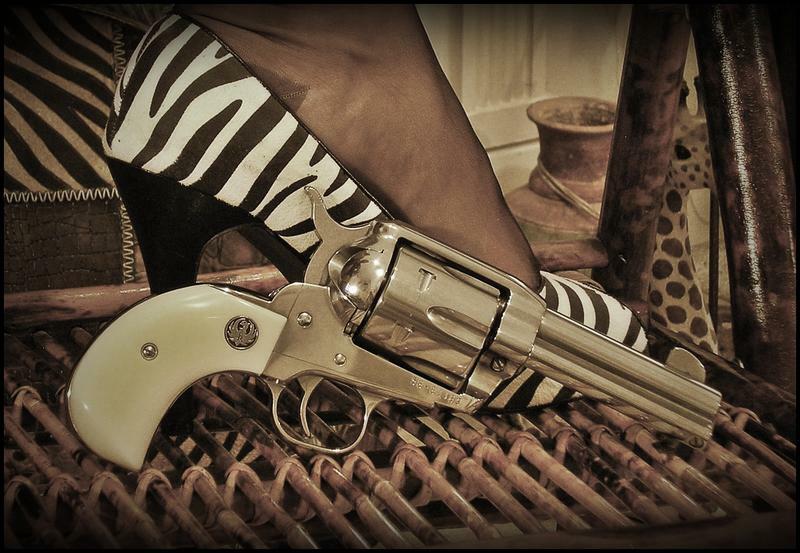 OK, ANY photo you personally took at any time that fits the Valentine’s Day/firearm theme is good to go. Will's flower & gun is now entered! Oh ok. Sorry, I never read the rules from the very first thread in December, my bad. THIS IS NOT AN ENTRY. 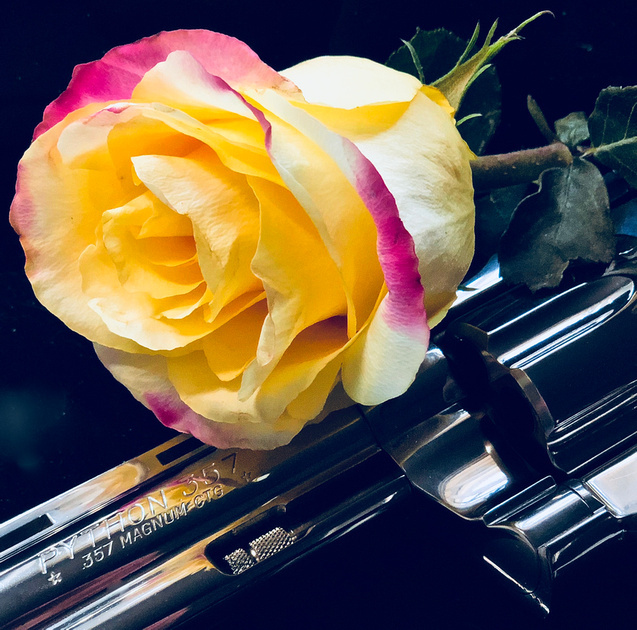 It is a carry-on of Will's 'rose + gun' (excellent) photo. Guns N' Roses... just pluralized it. Only 9 days away from V-Day! Very nicely done Z, almost looks like an advertisement poster! Any thoughts for March? Big bore? Small bore? How about the Sig that got away? Guess I'd say this one. Missed it by a few days. Thanks for the compliment .38supersig. I think the most incredible thing about the photo besides luck was that I snapped it with an iPhone. Since I became the 'shot caller' for this second round of the contest started by DSgrouse, and the entries for 2.0 were exactly THREE very good photos... I hereby declare a 3-Way Tie for 1st Place! Congratulations to: just1tym, Bigboreshooter, and .38supersig! 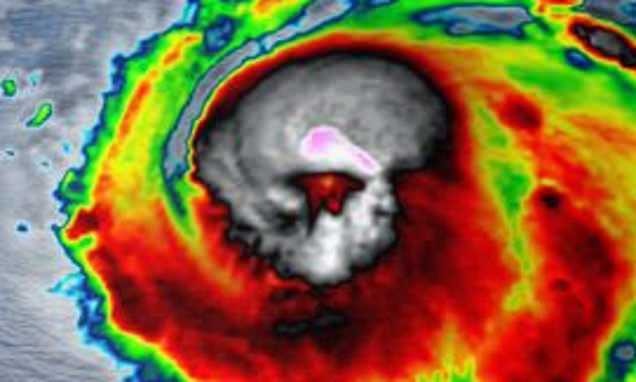 Great Pix! As winners, if you want to, confer as to what contest #3 will have for its theme. "Z" I'll just defer to the other gents to pick as mine like your's was just for fun, a lucky snap on my part. Btw, my wife also received some roses almost with the same coloring as your's above and I managed to snap another one off with my python that came out pretty good too. I posted it in the smartphone thread, I couldn't pass on the roses as the colors were fantastic, almost a perfect match as yours in color. I'm starting to get the hang of the flowers and firearm stuff..
"Z" I'll just defer to the other gents... I'm starting to get the hang of the flowers and firearm stuff..
Then he being is entirely too modest saying he is starting to get the hang of things. Thanks .34supersig. But honestly, most anybody can take or get good images easily. By supplying the correct amount of light/color and an interesting background, many here could and have snapped nice images. Most of the work is done inside the camera or type of camera, equally as well as what's behind the camera. These days I'm just happy that smartphone camera technology is getting more than proficient for snapshots. Be it small compositions, portraits or landscapes, they're surprisingly good. Even many of the smartphones made a few years ago, along with a diversity of brands. See p220cop's images using a Samsung S4 Active, the close up detail is clear and precise. Z's use of iPhones and various software apps is amazingly creative. I only say that I got "lucky" with a photo mostly because I managed to cobble together something interesting in addition to using a good camera which does the rest. And these days, smartphones are more than capable of snapping some very good images. I couldn't lug around all my dslr gear these days even if I wanted to anyways. Besides, somebody's getting some good use out there with the stuff I sold off. I don't believe smartphone cameras will overtake the dslr's quality and capabilities but, they're closing the popularity gap by making it so portable and having other features/functions besides a camera. It's a huge bonus that the image quality is improving so rapidly and expanding lens/tech wise. 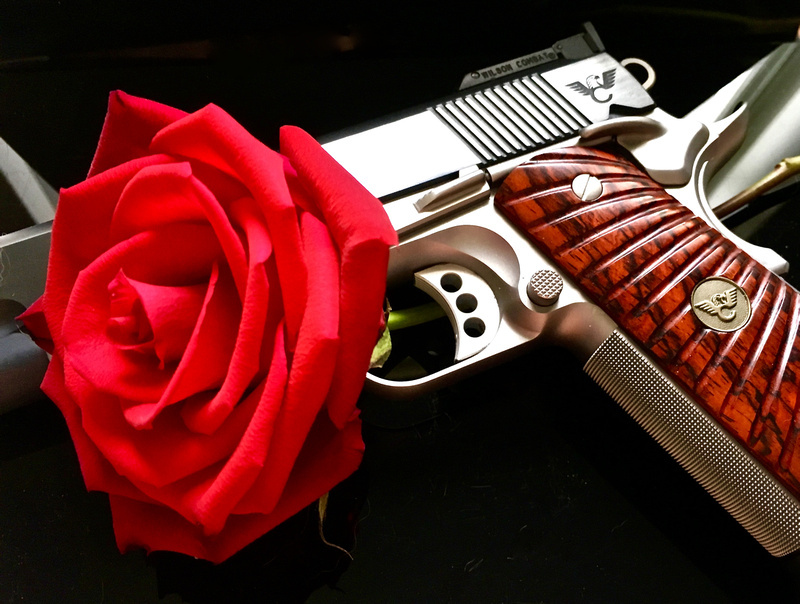 Quick Reply to: Z06's February’s contest: Valentine’s Day: Hearts & Guns, Candy & Guns, Love & Guns, etc.